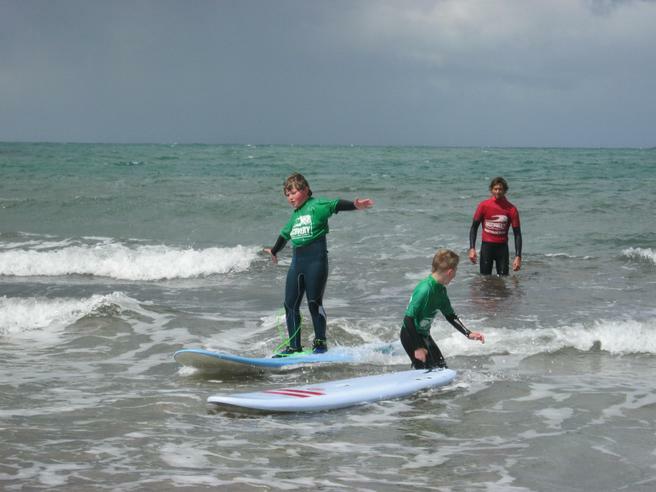 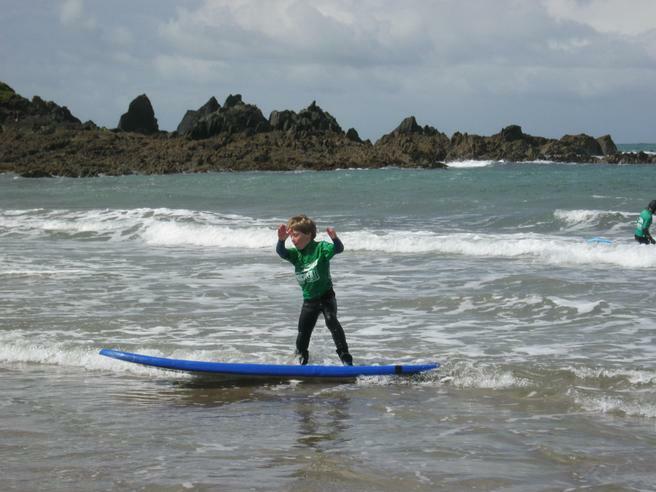 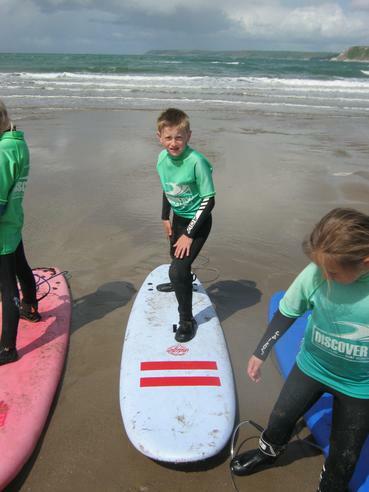 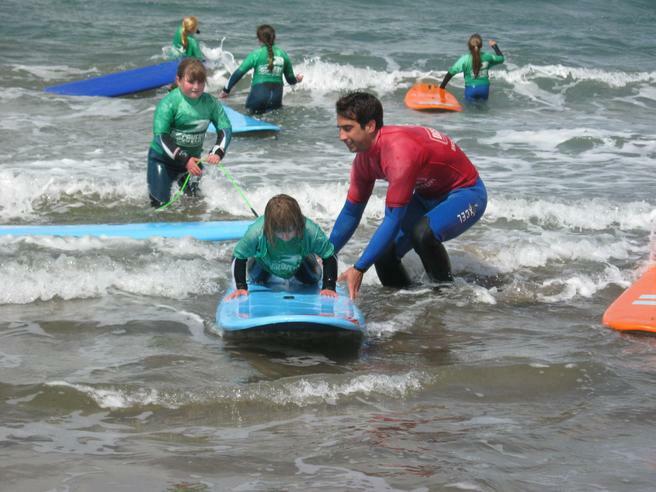 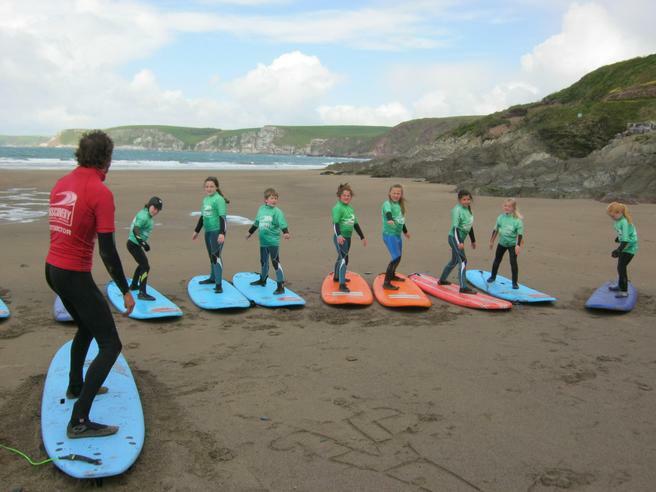 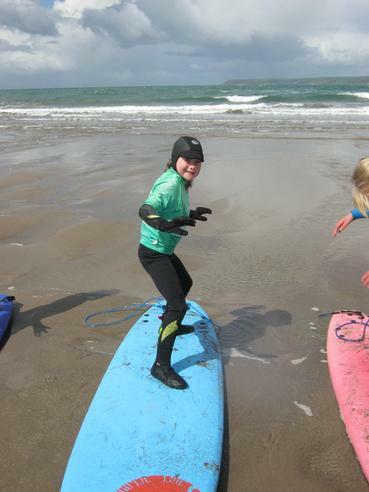 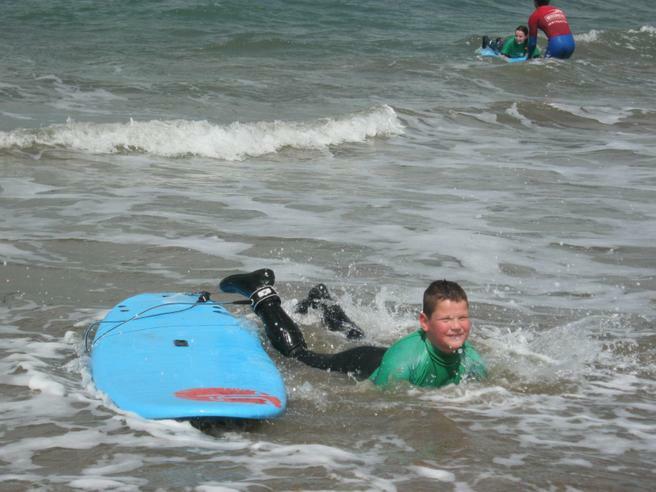 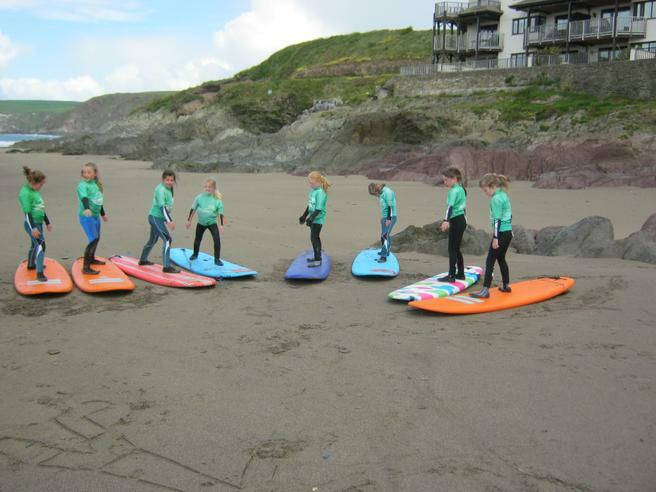 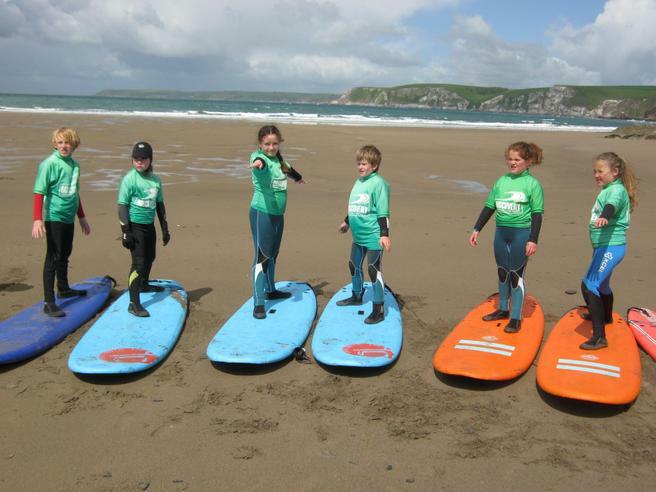 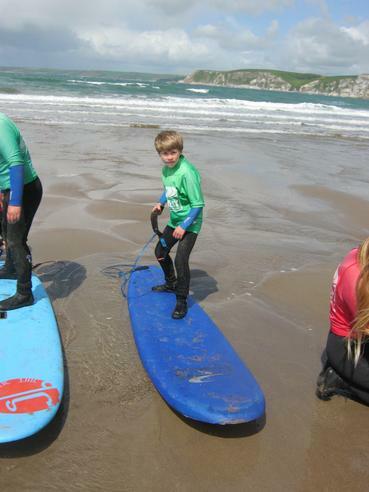 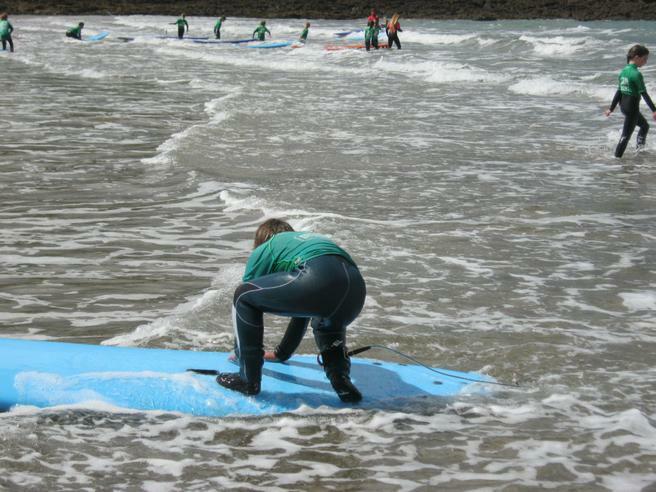 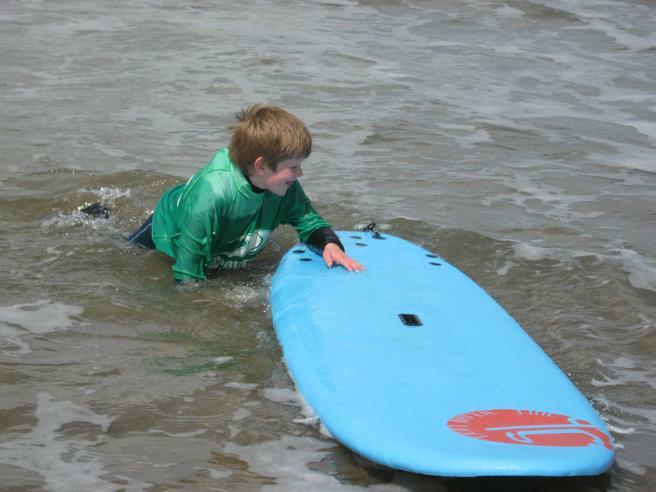 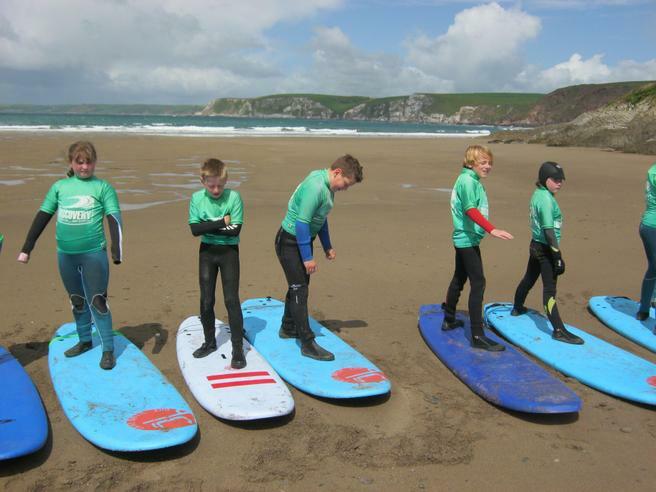 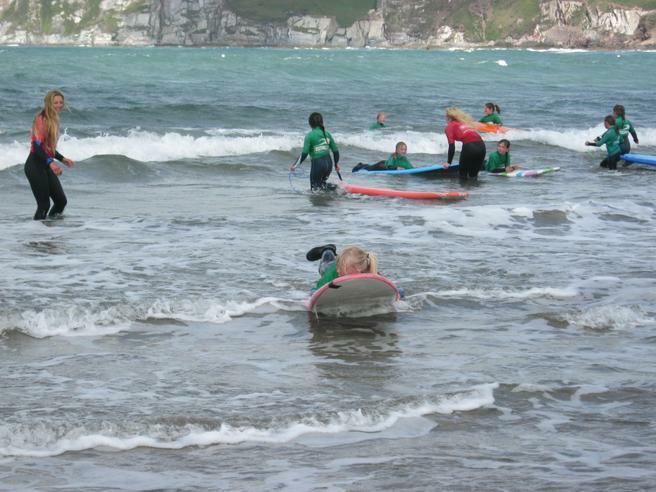 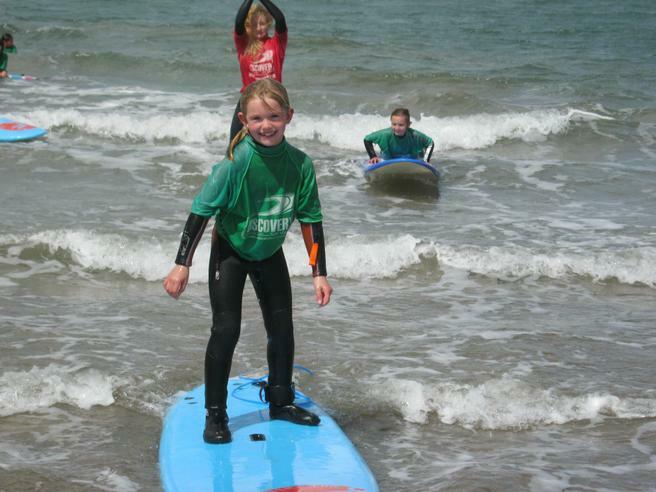 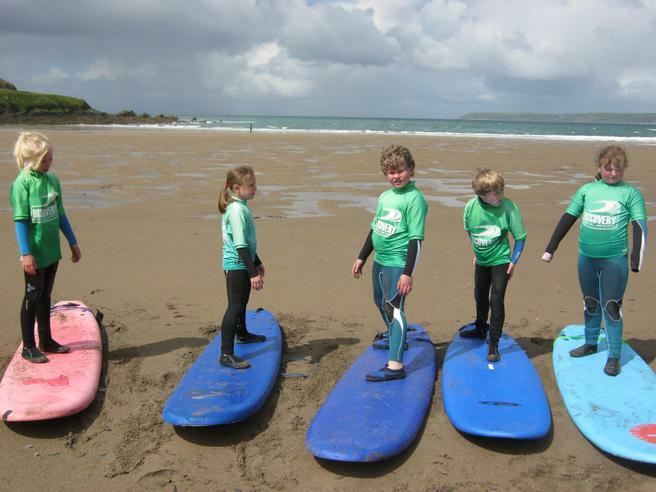 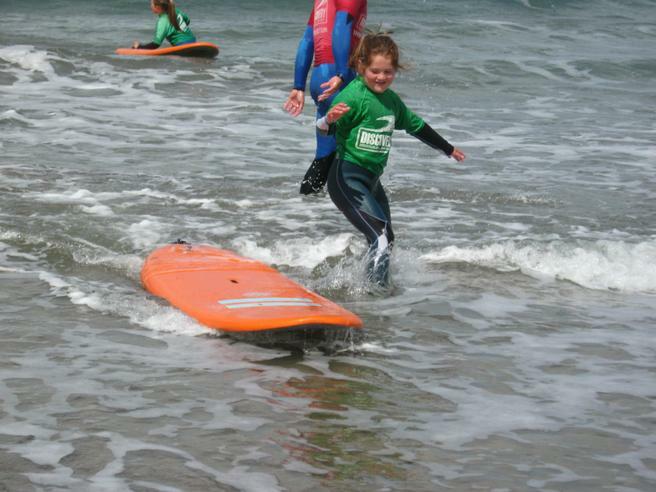 Years 3 and 4 enjoyed a fantastic morning surfing at Bigbury beach with Mr and Mrs Connolly of 'Discovery Surf' today. 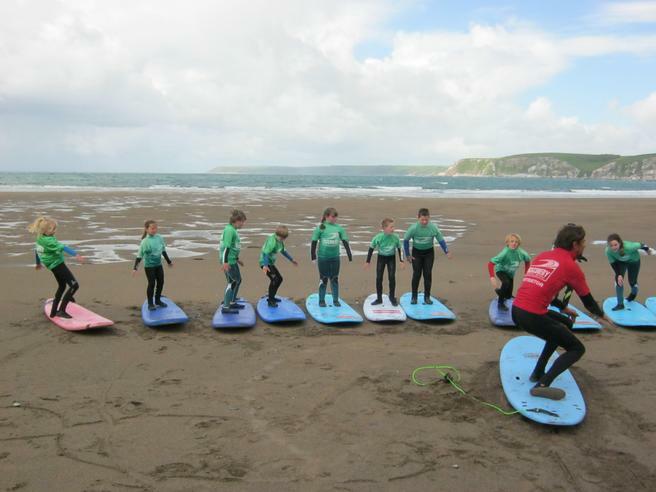 Children and staff from the school spent the morning developing their balancing skills, surfing the waves (they were very big today!) 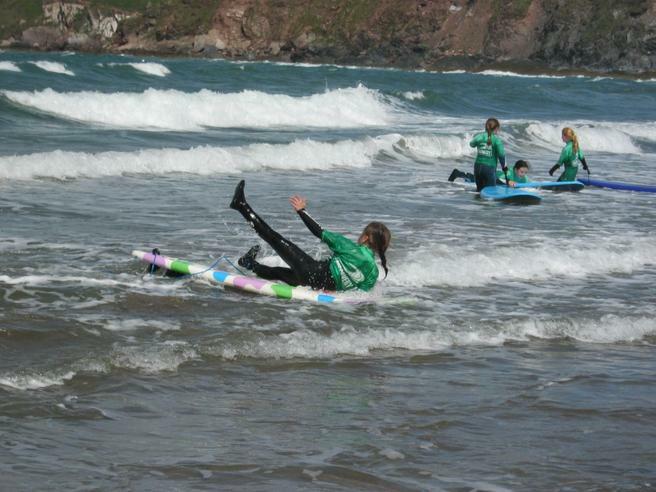 and playing beach games. 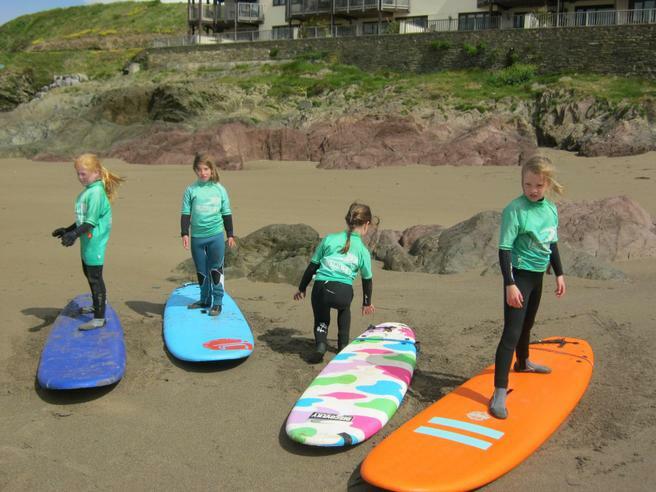 A huge thank you to Mr and Mrs Connolly and their staff for giving our children such a wonderful opportunity again this year.